Are you interested in advertising? If you decide to open an advertising business, the first thing you should think about is how to organize its competent management. After all, debugged control of the company – it is a guarantee of its successful growth and development and, consequently, a profitable position in the market competition. That is why advertising agency management software exists. The advertising programs’ interface is simple and intuitive. The main menu has only three sections. The advertising apps are multiuser. Each employee will see and work only with the information that is related to his zone of powers. The main work in the advertising management software is carried out in the module "Orders.” Search in the advertising app is simple. You just need to enter a unique order number or personal data like first letters of a name, if you look for a customer. It is worth noting that the ad management software generates a single database of customers and services. Registering a new customer, you add to the database all the information you need about a client. This information will be stored in the database unlimited period of time, and you always will be able to find the customer. Formed in advertising program order is passed up the chain of employees, each of them can make the appropriate changes if necessary. The employees chain can be customized by our specialists. The price list of of a company is also set in advance. If you have a warehouse, the advertisement management system allows you to keep a stock inventory. The ad management system contains a large number of statements and can provide all the necessary documentation. All the documents that advertising management system prints will have the logo of a company. The logo of your company supports a unified corporate identity of the organization. With the help of a variety of reports, you will be able to monitor such things as the profit on each application, the income received from each type of products sold, the most active and buying customers, the effectiveness of each employee etc. You will be able to analyze the company's work for a day, a month, and a year, because the program for advertising control generates reports for any period of time. The software for advertising automation enables you to record statistics on the effectiveness of advertising, and keeps records of advertising services. This software conducts a comprehensive data processing according to various criteria. You can attach to the program files of any format: JPG, PSD, CRD et al. The system supports any currency. If you have any further questions about the software for automated advertising or work of our organization, you can send us an e-mail. You can also download a free version of the program for advertising automation as a demo mode. Note that a demo version of the program has only a small share of the functionality that is provided by our software for advertising. It is only a basic configuration. The software can be customized to your individual requirements. Start your business properly and our advertising soft will help you! The software for advertising management creates a single database of clients and services. The advertising programs provides advertising sales accounting. The advertising apps provide storage of different contact details and residential address, date of birth. There is a possibility of selection by age of a customer. The software for advertisement management provides a great opportunity for adjusting the management structure of advertising agency. The advertising app allows you to monitor the statistics of advertising effectiveness, as well as to keep records of advertising services. Comprehensive automation of the advertising business. 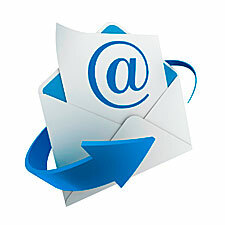 It is possible to send the necessary files and information via e-mail directly from the ad management software. The ability to add comments for each client. You can download the free demo-version of the advertising program directly from this website. Management of an advertising agency, personnel management in an advertising agency. The advertising management software provides a record of all orders and payments. The advertisement management system supports the attachment of any file formats JPG, PSD, CRD and so on. The advertising agency management software displays the parameters of planning of future activities. Accounting of small business is automated with substantial discounts. Accounting for an advertising agency. The ad management system supports any currency. The software for automated advertising provides the formation of any consolidated reports. Several users can work in the advertising management system simultaneously. There is a detailed audit of the actions of all users. Software for advertising automation has user access to different software modules. The software for advertising control has plenty of additional functions.